I am a big fan of this book. At night my son and I read stories together before I put him to bed. We are just about to finish up our current book and I am really looking forward to reading this one with him. I really enjoy how the book is laid out. Each bible story is 2 to 3 pages long, with bright and colorful illustrations. Each story is followed by a discussion question, and idea of an activity to do with your child, and another activity of how to act out the meaning behind the story. 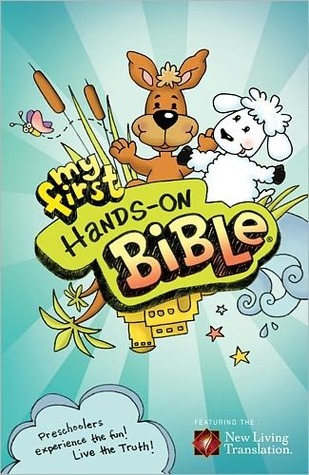 This would be a great bible for any preschool age child- it is a lovely book for a gift, or for a child to read with his/ her family.